A California Estate Planning Lawyer is an attorney, barred in the State of California, which represents clients in the preparation, and execution, of Estate Planning documents and accounts. The purpose of an Estate Planning Lawyer is to help prepare wills, trusts, and other testamentary and non-testamentary documents and accounts to ensure that the assets of an individual are dispensed to his, or her, family and friends as he, or she, wishes at death. An estate planning lawyer also helps those individuals’ durable powers of attorney, health directives and other legal documents. The fundamental instrument that a California Estate Planning lawyer will use is the creation of a will is to avoid intestacy. Intestacy occurs when an individual dies without a will, or other testamentary document disposing of assets. Intestacy means that the property possessed by an individual at death is disposed of according to the laws of descent in that state. This is usually unfavorable to the decedent and can result in assets of the decedent going to individuals that the decedent had no intention of leaving anything to. 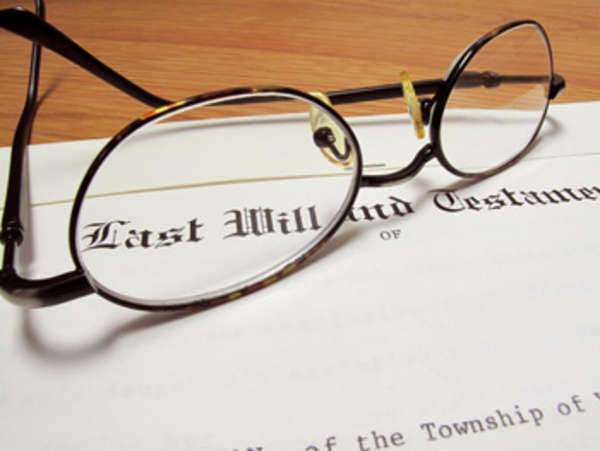 A will is the basic testamentary document that a California Estate Planning Lawyer will prepare for a client but there are other documents and accounts that are much more beneficial. These include Trusts, joint tenancies, life insurance, and many other accounts. A trust can be already in existence or created by the person seeking help from a California Estates Planning Lawyer. A properly created trust will pour your assets into an account that will be held in the name of a trustee, usually your California Estate Planning lawyer, for the benefit of others, known as the beneficiaries of the trust. Trust assets can take on many forms. They can be composed of real and personal property, intellectual property, bank accounts, life insurance, and any number of different types of assets. A trust can be a living trust or it can be testamentary. A living trust compiles the individuals assets into the trust for the benefit of both the grantor and the beneficiaries. When the grantor dies all the assets in the trust will belong to the beneficiaries named there in. A testamentary trust is a trust where the grantor places his property into the trust, in the name of the trustee, usually the Wills and Trusts lawyer, for the sole benefit of the beneficiaries. In a testamentary trust the grantor has no right to the assets of the trust once they are put into the trust. There are also different kinds of beneficiaries. There can be an income beneficiary or a corpus beneficiary in a trust. Income beneficiaries are those beneficiaries who only have access to the interest that the trust the income that the trust accumulates. A corpus beneficiary is one who receives the assets from the trust. For example, if a trust is created by the grantor that states “to Alice as income beneficiary of this trust shall receive 50% of all interest gained from the trust on an annual basis. Upon my death Betty shall receive the corpus of the trust.” The trust is worth $100,000 and there is an average of $10,000 in income every year. In this example Alice will receive $5,000 in that year and the other $5,000 will be reinvested. Upon the death of the grantor the trust will be terminated and all the assets of the trust will go to Betty. Why do I need a California Estate Planning Lawyer? If you are contemplating drafting a will, codicil to a will, trust or other document involving the disposition, of your assets or involving your care at incapacity, you should definitely consult a California Estate Planning lawyer in your area. Many people every year decide that they don’t need a lawyer and draft their own wills only to have their loved ones find out during probate that the will is invalid due to a lack of formalities. The major purpose of having a California Estate Planning Lawyer is to prepare non-testamentary accounts that will not only avoid the long and costly process of probate but avoid estate taxes. This is the number one goal of a California Estate Planning lawyer. As of 2011 the estate tax establishes a 35% tax on all estates, transferred at death, that are $5 million or more. One of the most important skills your California Estate Planning lawyer can have is accounting and business management skills. The goal of a California Estate Planning lawyer is to minimize the tax liabilities that they will be subjected to when you die and transfer your assets. A California Estate Planning lawyer will be able to help you put your assets into joint tenancies, joint bank accounts, life insurance, and tax shelters so that you can minimize both your, and your beneficiaries tax liabilities. Where can I find a California Estate Planning Lawyer? If you are looking to create a will, trust or other testamentary document you have many options in finding a California Estate Planning lawyer. Almost all law firms have websites that can be easily accessed through a rudimentary internet search. These websites will often give detailed descriptions of the California Estate Planning lawyer’s education, certificates, and results that they have attained through representing clients. However, these websites are “advertisements” in that they are designed to best represent the lawyer and should not be taken completely by their word. When looking for a Estate Planning lawyer you should try and find one that has experience working as an accountant or CPA. If your assets are large enough to warrant it, you may want to spend some extra money and hire a California Estate Planning lawyer who has formerly worked as an attorney for the IRS. These people will be best at helping you allocate your assets in the best possible way to shield them from being considered taxable income. The cost of exceptional California Estate Planning Lawyers may be expensive but when you have assets that go into the millions of dollars having a California Estate Planning will be essential and the amount of money that you save will be exponentially more than the cost of the representation. Laws.com also has a valuable referral service. By going to the top of this page and clicking on the “find a lawyer” link you will be able to access the laws.com referral service. By inputting your name, location, contact information, and a brief description of your legal problem laws.com will be able to put you in touch with California Estate Planning Lawyers in you area that will help you.